MODESTI, ADOLFO. 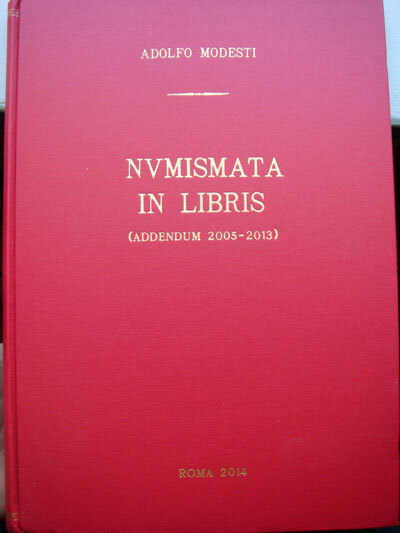 Numismata in Libris (Addendum 2005-2013). Rome, 2014. Catalog of books, magazines, periodicals, articles and various writings from the 16th to the 21st century concerning the art of medal in Italy. 140-page hardcover, no dust jacket as issued. U.S. shipping only, international customers please contact me for shipping rates.